Pulo Devi is a lively out-going lady of about 55 years of age. She lives in a village about one hour’s walk from Loharpatti, Mahotari. She is of the Mushar caste. She became aware that she had leprosy when she came to Lalgadh Leprosy Services Centre complaining of swelling and tingling in both her hands. At that time she had also lost her eyebrows. These symptoms first began nine years ago. At the Centre she was diagnosed as having leprosy and commenced her multi-drug therapy. She was referred for follow up to Loharpatti Health Post. Sadly she did not complete her treatment and is now severely deformed in her hands and feet. The bridge of her nose has also collapsed. Life has not been easy for Pulo Devi. Even though she was blessed with a son, her husband died leaving her with the difficult task of raising a son on her own. She has found it very difficult to talk about her husband’s death, and the many problems she had raising a son on her own. As her deformities became more obvious, she was ostracised by her family and neighbours. She was forced to live outside the village in a stick shelter by the river. The village animals appear to have been treated far better than she was. In order to survive she soon turned to begging. One day, the facilitator of the Loharpatti Self Help Group, Mr. Muslim Ansari, noticed her dressed in rags and begging in the bazaar. 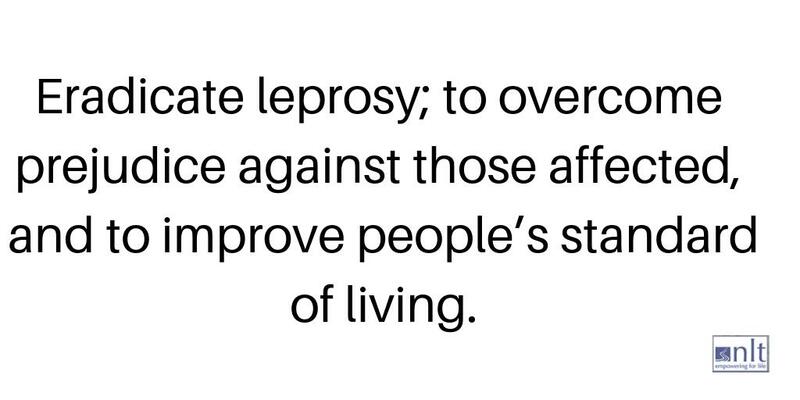 He also is affected by Leprosy. By her appearance he could see that she was very poor and, from her distinctive deformities, that she had leprosy. He spoke to her and listened as she told of her illness and current living conditions. The first thing that Muslim did was to encourage her to attend the self help group. He explained that the purpose of the group was to support people affected by leprosy and to educate the community about the disease. She agreed to attend the group and has subsequently become a regular member. Through the support of the group, Pulo Devi has recommenced treatment. The group visited her village last year and was very moved by the conditions she was living in. They decided to talk to her son and the village leaders to explain about leprosy and its treatment. After they did this, she was then allowed to move back into the village. Pulo Devi’s son’s house was too small to accommodate his family of wife and two children plus Pulo Devi. After some discussion with self-help group members, a decision was made to build her a house. The facilitator placed this request through the STigma Elimination Programme and the programme then was able to help with the construction of a small house. A further request for income generation was granted, and a loan was given to Pulo Devi to purchase two goats to enable her to be self-sufficient. With the group’s support she is learning to care for herself and prevent further ulcers and deformities. At one group meeting she met Dr. Bimala Ojiha, Director of HMG’s Leprosy Control Division. Pulo Devi was encouraged when Dr. Bimala expressed her support of the group. Dr. Bimala said to the group and to Pulo Devi how very pleased she was to see how people had been greatly helped by the self-help group and she could see a time when Stigma would be reduced. Pulo Devi is very happy to have met Muslim Ansari in the bazaar and she can now look forward to a somewhat brighter future as an active participant of the self-help group in tackling stigma and an accepted member of her community.